"Liver cancer canine is due to cancer that either originated in the liver or it has spread from other parts of the body. Treatment involves surgical removal of the tumor and dietary change." Cancer in the liver may be a primary liver tumor (one that originates in the liver), hemolymphatic cancer (arising from blood cells or lymphoid tissue) that involves the liver, or metastatic cancer (this is the most common type of cancer that comes from cancer that spreads from other organs). To diagnose liver cancer canine tumors, your veterinarian will take a thorough history and perform a thorough physical examination of your dog. 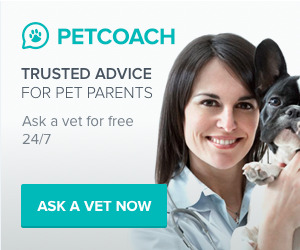 He or she will do a blood test to check your dog�s blood count and liver enzymes. The vet will also do chest and abdominal x-rays, and probably an abdominal ultrasound. A liver biopsy (tissue sample) will also need to be done in order to determine that the tumor is indeed cancerous. This can be done during surgery to remove the tumor, or a fine needle biopsy can be done. The liver is a resilient organ and can continue to operate even if up to 80% is diseased. Unfortunately this same quality can make treatment difficult if the condition is severe. The goal is to remove the diseased liver tissue via surgery, allowing the remaining tissue to function normally. Several medications such as SAM-e (Denosyl) and ursodiol (Actigall)are prescribed for this purpose. Your veterinarian will also determine if chemotherapy can be helpful. Chemotherapy will usually extend a dog's life by 4 to 8 months while maintaining a good quality of life. If your dog is suffering from symptoms such as diarrhea, your vet will prescribe medications to help with that condition as well. There is a large body of research supporting a special diet for liver disorders which includes foods high in protein, omega 3 fatty acids and dietary supplement designed for liver health such as PetAlive Liver-Aid which is made for this purpose.